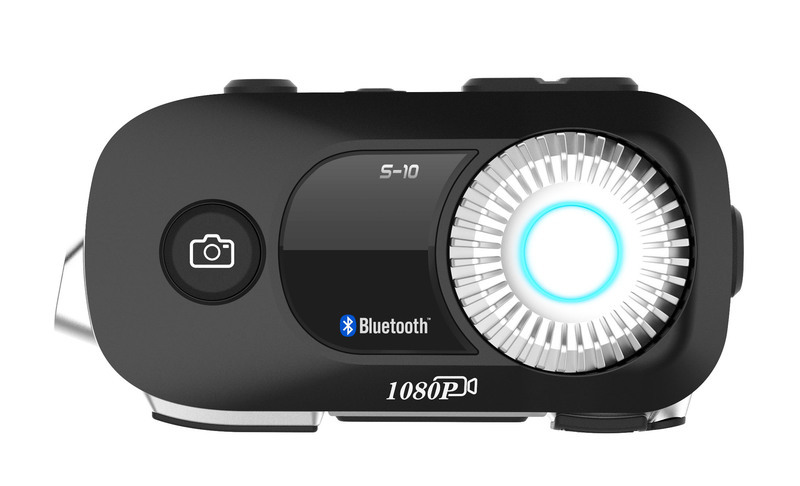 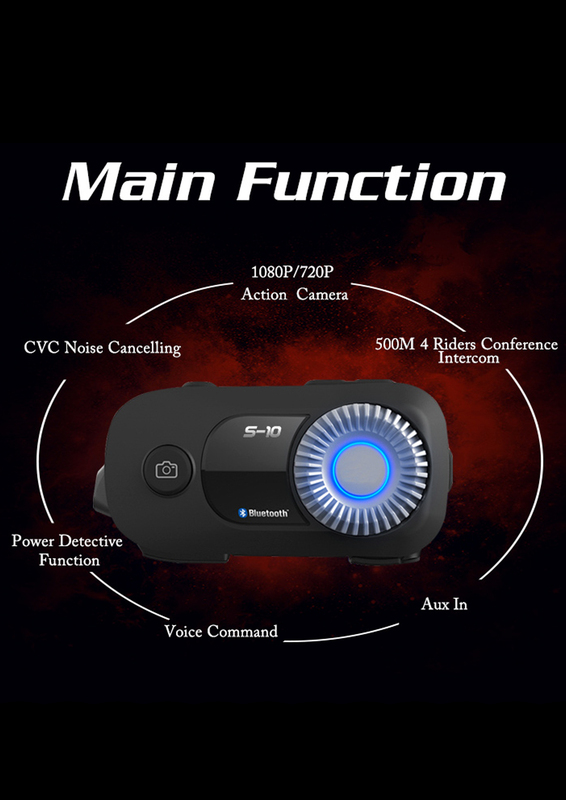 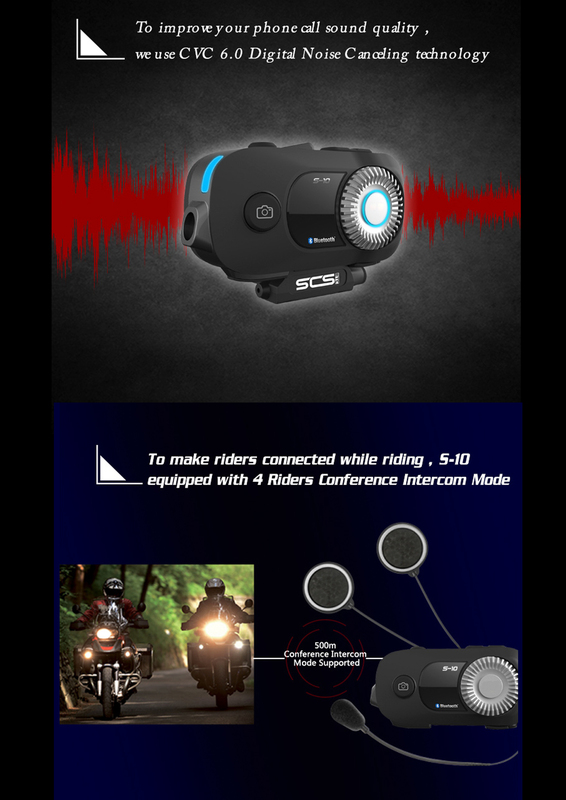 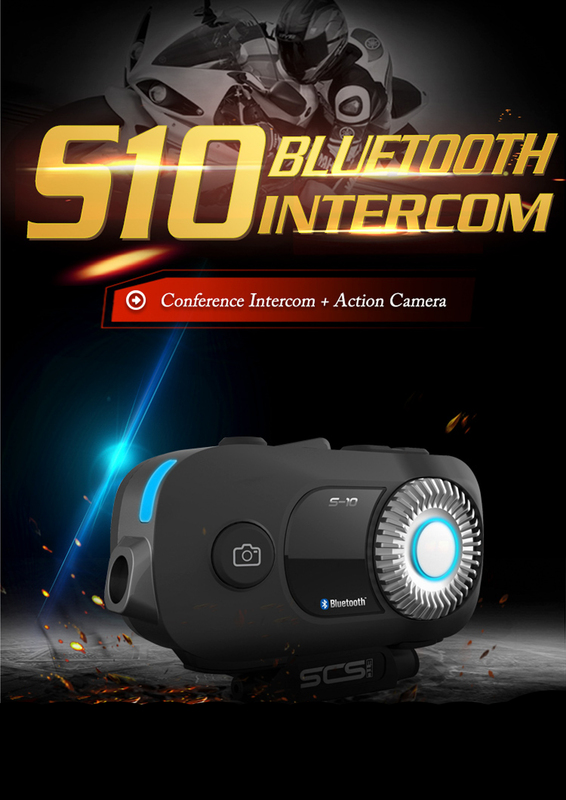 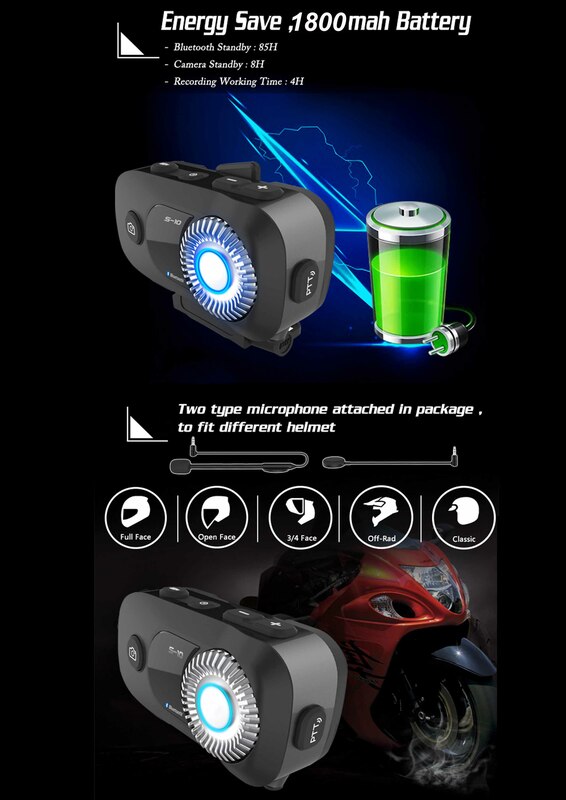 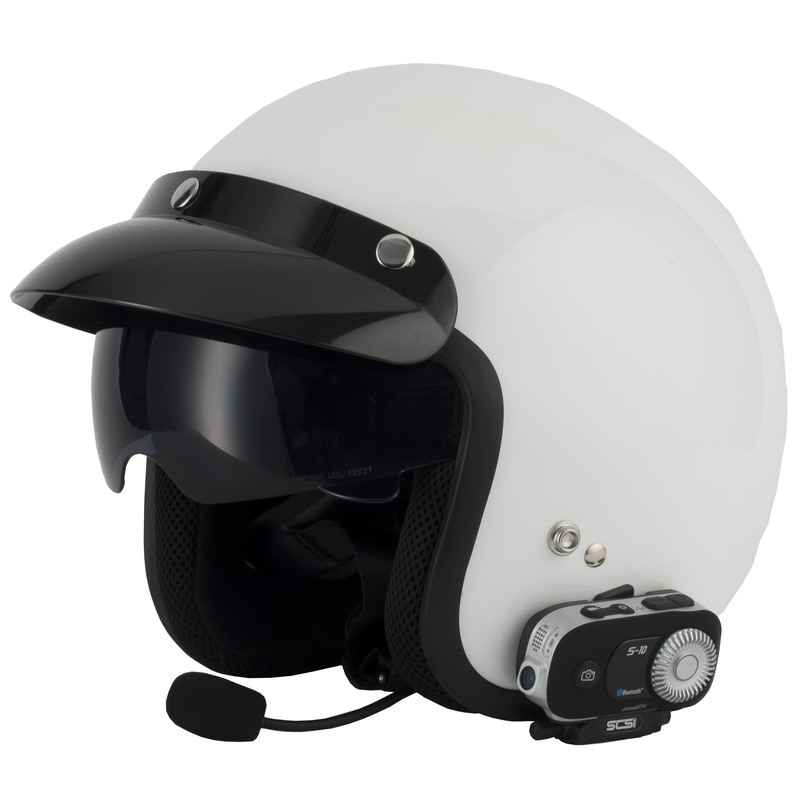 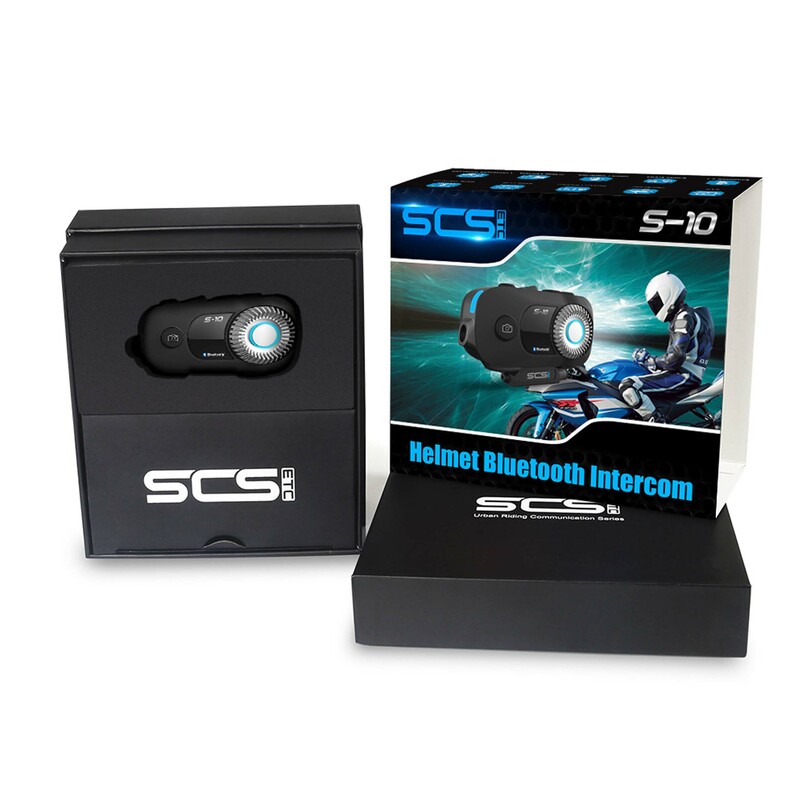 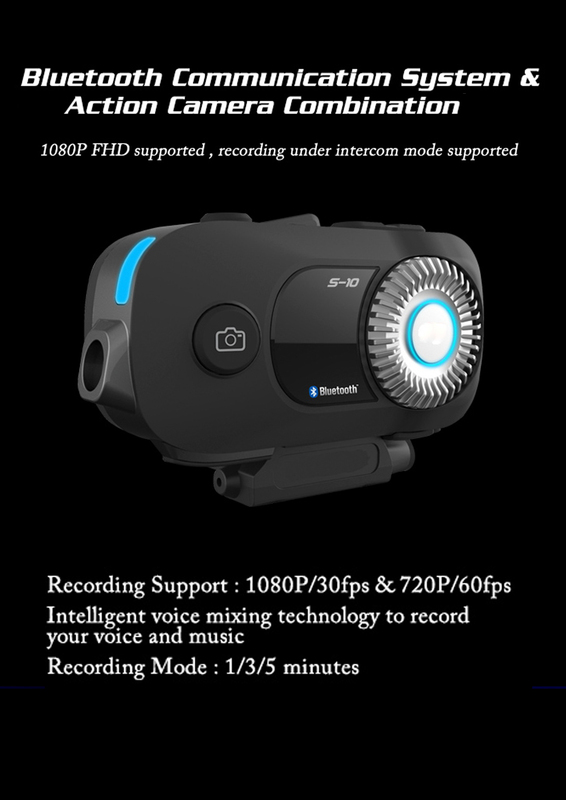 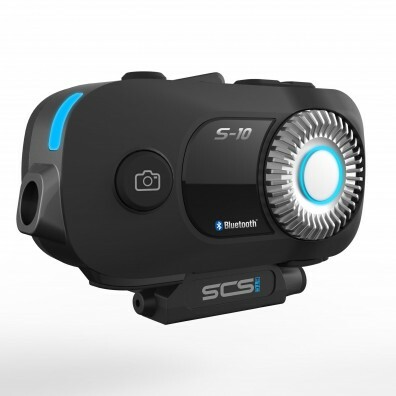 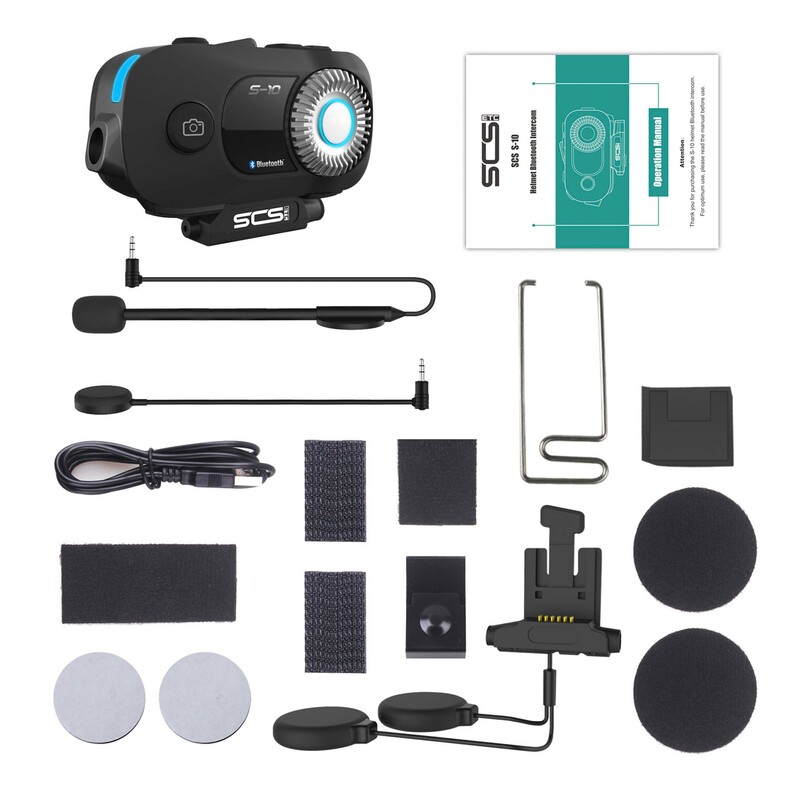 The SCS S-10 Bluetooth Intercom with a built in 1080p HD Video camera! 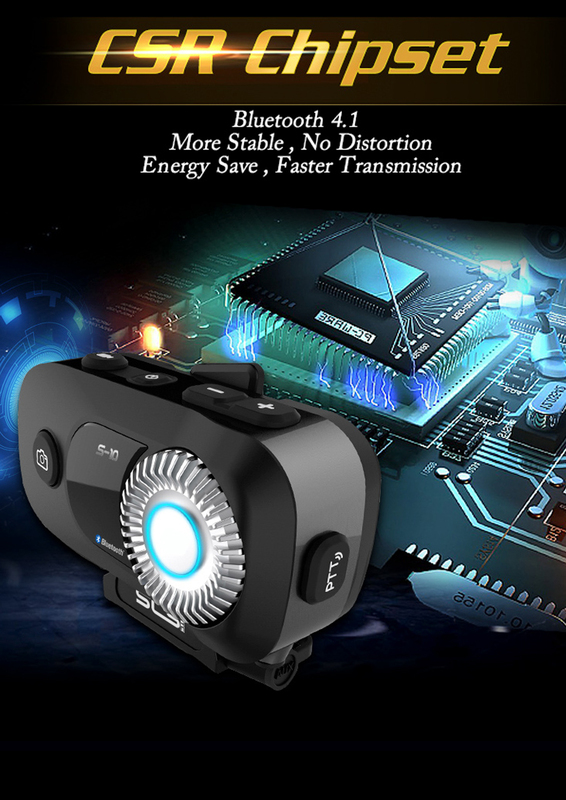 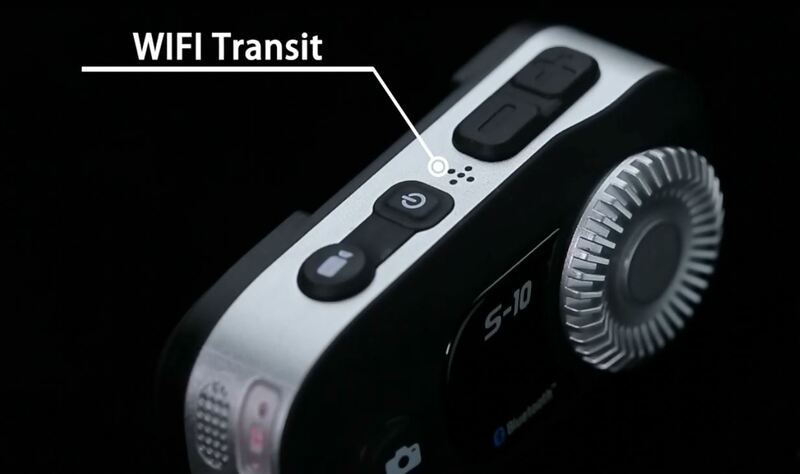 Connect the camera to your phone via the S-10′s own Wi-Fi connection. 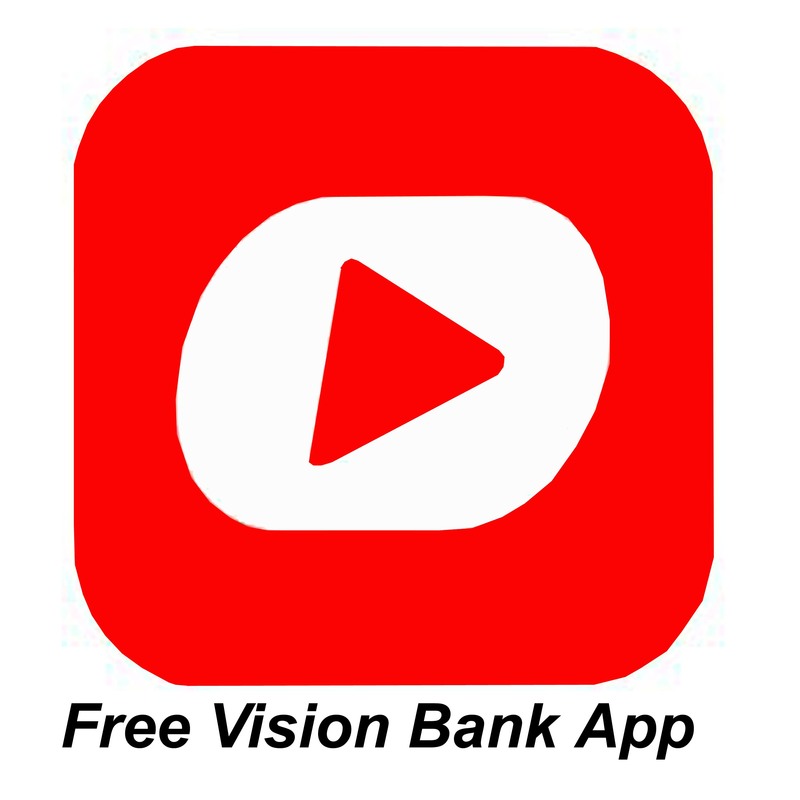 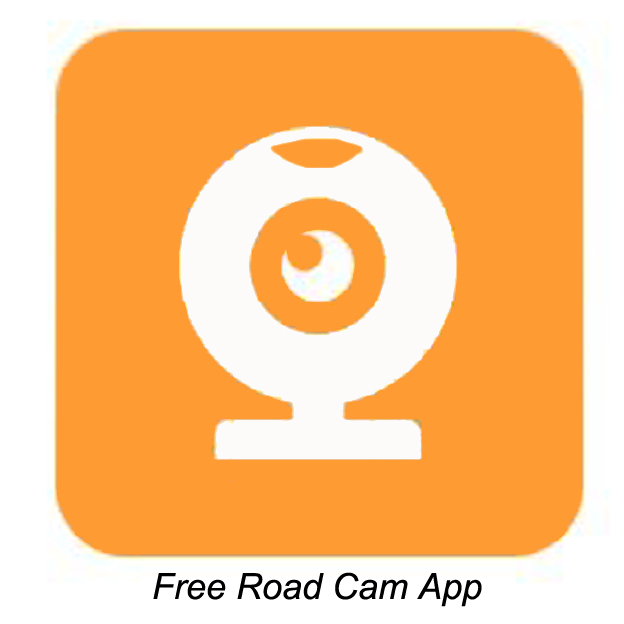 Once connected to your smartphone or other device you can use the free app **VisionBank/RoadCam where you can download your videos and photos straight to your smartphone. 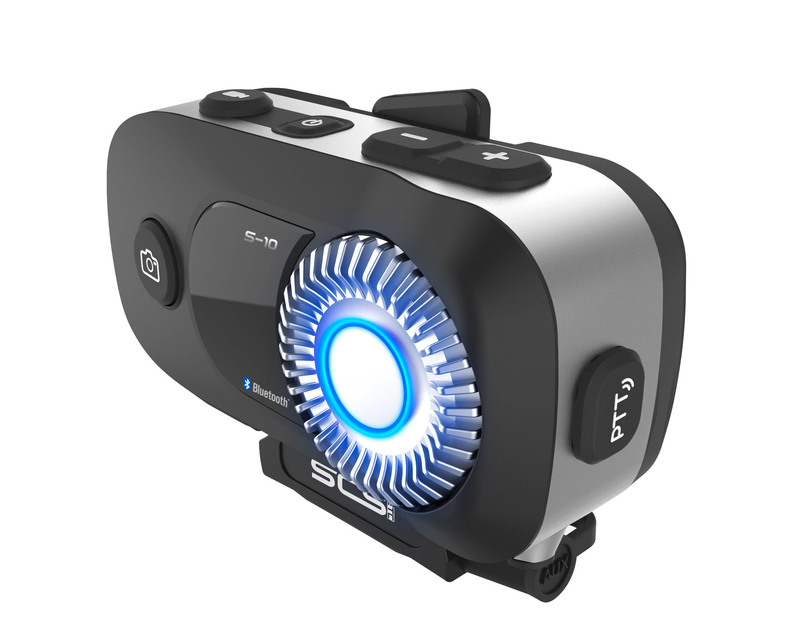 Also you can download straight to your computer via USB with plug-and-play. 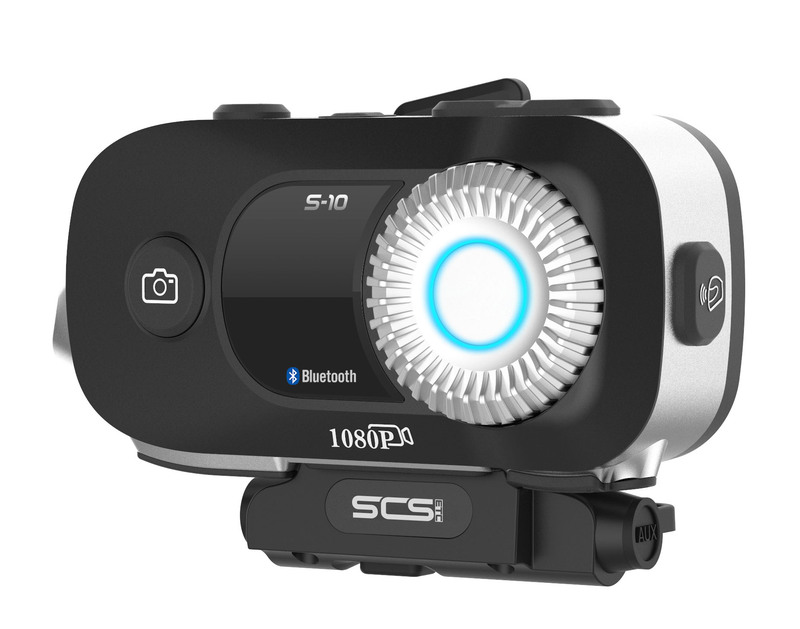 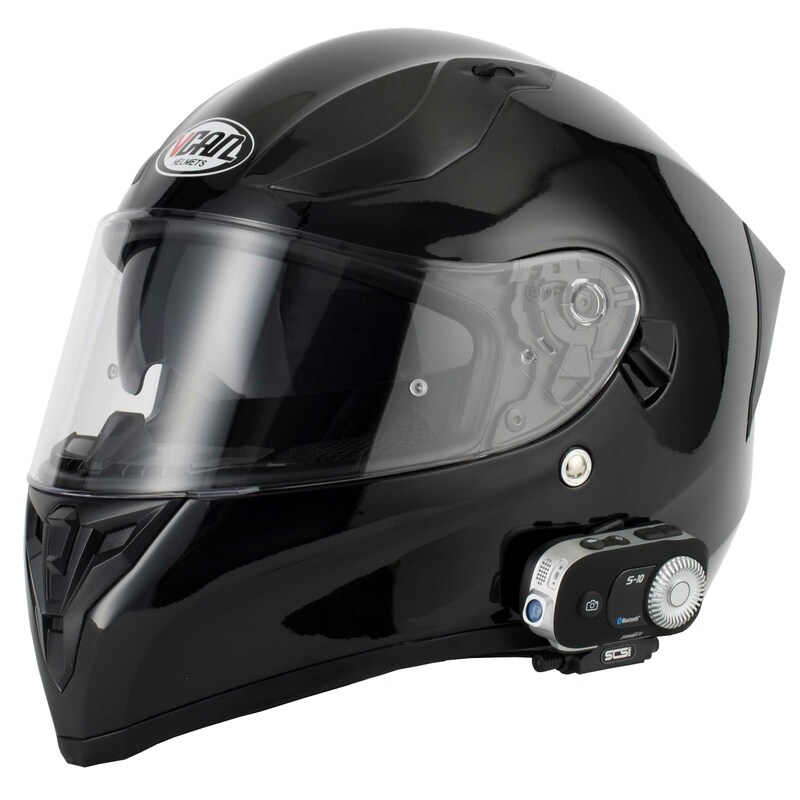 The S-10 records your adventures directly to a Micro SD Card (up to 32G – not included with unit). 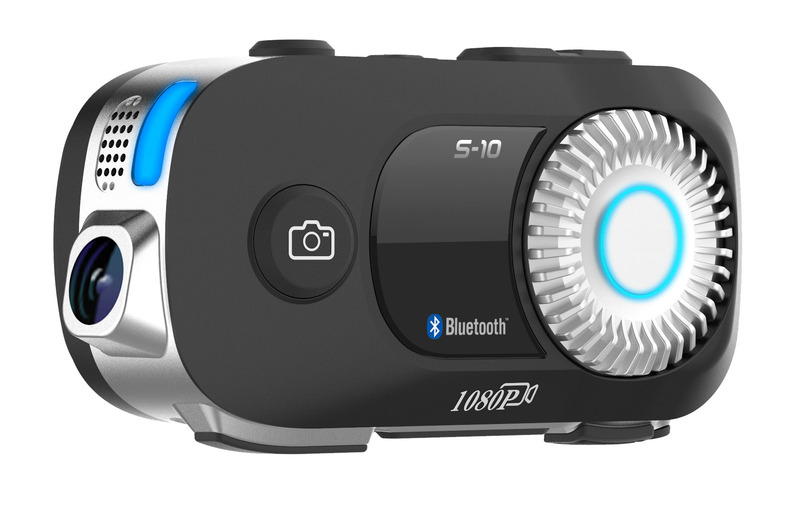 The S-10 also has a AUX port for other devises such as a iPod or other music devise.